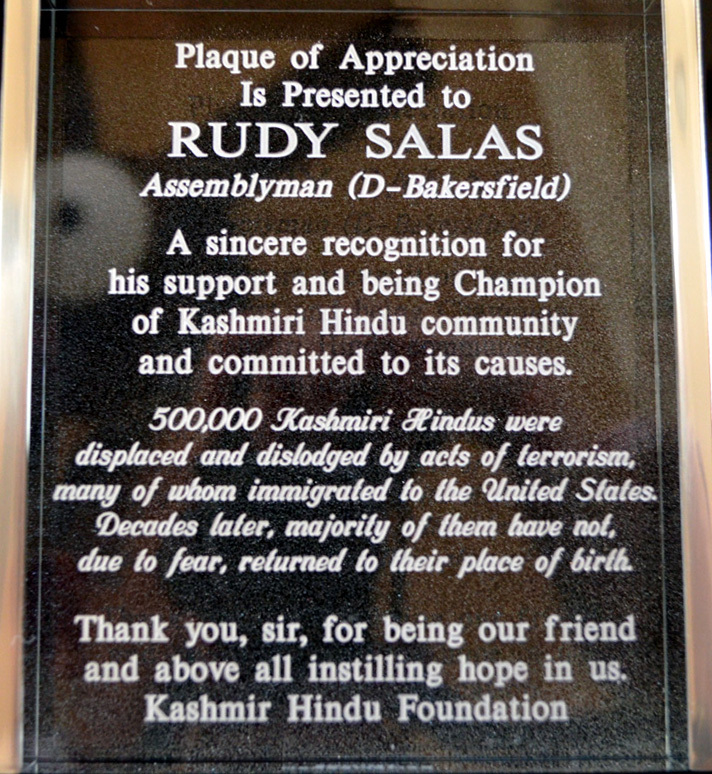 ssembly member Rudy Salas (D- Bakersfield-USA) was honored by members of KP Community for his Support and for being Champion of Kashmiri Hindu community and committed to its causes. On behalf of the Kashmiri Hindu Community, the President of Kashmir Hindu Foundation Inc., - KHF presented a plaque on this occasion. Assembly member Rudy Salas was elected in November 2012 to represent California’s 32nd Assembly District, comprised of part of the City of Bakersfield, Hanford, Corcoran, Delano, Lemoore, Shafter, Wasco and the communities of Armona, Avenal, Kettleman City, Lamont, Lost Hills, Stratford and Weedpatch. 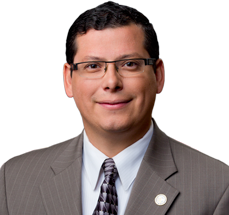 The first Latino to serve on the Bakersfield City Council, Rudy Salas Jr, was born and raised in California’s Central Valley. Attending local schools in Bakersfield and Delano, Salas learned the values of discipline and hard work helping his father build boxes for the fruits and vegetables picked from the local fields. On the Bakersfield City Council, Salas placed a strong emphasis on community involvement, education, fiscal responsibility, public safety, community services and economic development; issues that he will continue to promote in the Assembly. As a member of the City Council, Mr. Salas developed a reputation as a “hands on,” tenacious advocate for his district and the region. He was a frequent host of public meetings, neighborhood graffiti and trash clean-ups and other civic engagement activities. In addition, Salas also worked up until his election in his family’s general contracting business as a construction supervisor managing work crews on a variety of commercial and residential projects. 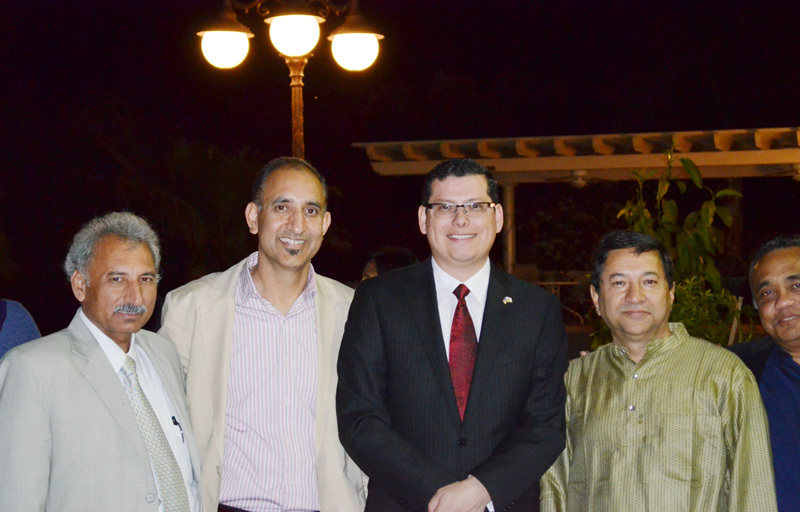 After several years working at CSUB, Salas was selected for a highly competitive fellowship at the State Capitol. While in the State Capitol, Salas worked for the Assembly Majority Leader on a variety of issues. 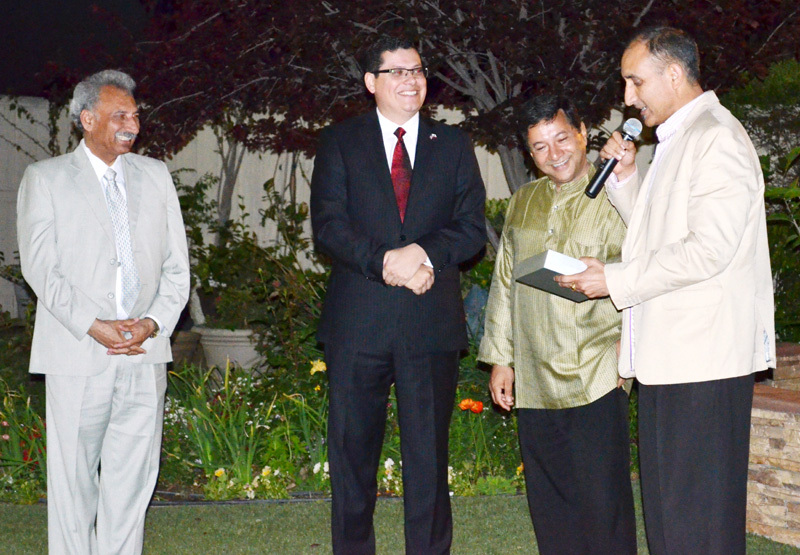 Recognized for his hard work and grasp of the issues, the local state senator hired Salas where he worked on state legislation, budget augmentations, coordinated hearings and meetings affecting the valley. After serving in the State Capitol and as the district director for the Senate Majority Leader, Salas would soon realize his dream of representing and fighting for the community he was raised in.